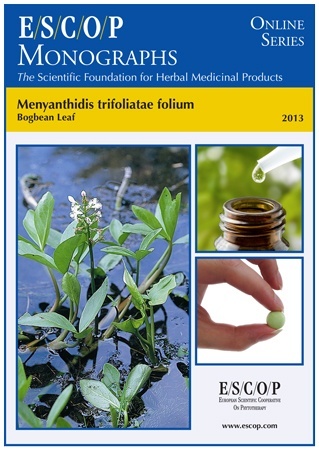 The monograph selects and summarises scientific studies and textbooks on bogbean leaf, including efficacy, dosage, contra-indications and safety relevant to the therapeutic uses. This herbal drug by definition consists of the dried, entire or fragmented leaves of Menyanthes trifoliata L. The main characteristic constituents are secoiridoid glycosides, iridoid glycosides and various flavonols. Bogbean leaf has a long history of medicinal use as a bitter and cholagogue. The therapeutic indications are loss of appetite, peptic discomfort and gall bladder disorders. 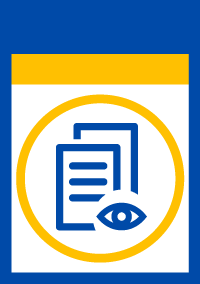 Posology and methods of administration are addressed in the monograph, as well as duration of use, potential interaction with other medicines, use in pregnancy & lactation, undesirable effects and overdose. In vitro experiments indicate antibacterial activity and aqueous extracts have shown immunomodulatory and anti-inflammatory effects. In vivo experiments with bogbean leaf in animals have demonstrated anti-inflammatory activity, with reduced expression of the Nrf-2 factor in mice. Pharmacokinetic studies, after oral administration in animals, indicated constituent levels in kidney tissue and the stomach. Preclinical safety data of bogbean leaf extracts were evaluated in the Ames mutagenicity test. The selection of literature cited in the monograph is aimed at bringing together relevant information about the possible physiological roles of bogbean leaf and its major constituents.